This is anothet project I have been preparing for 3 years. Now I have to speed up, because First to Fight company, has just started issuing the rules. 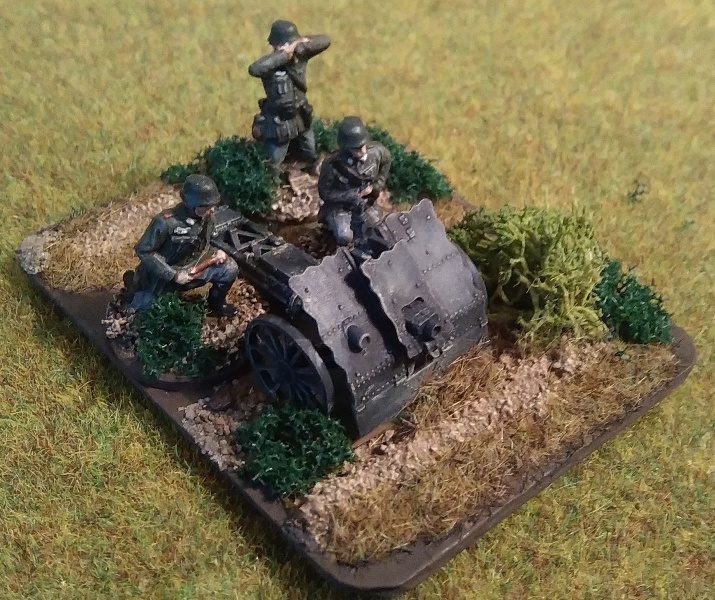 This is a german antitank platoon with 3 pak 36 guns, but a command stand is still missing. The artillery piece looks fantastic. I also like the detail on the crew uniforms. Have not seen that exact olive drab color used too often. Is that color special to Polish campaign? Wiking, I'm sorry, but i don't understand your post. Bluefalchion: I used paints from the First to Fight co. manual for 1939. For German uniform they suggest Vallejo German Fieldgrey 830 or German uniform (920). I used the first one. For trousers suggestion was London grey 836. I think Wiking is just showing us what the officer is looking at. sowabud wrote: Wiking, I'm sorry, but i don't understand your post. Nice work. Very well painted . You made a good work with detalis in painting the figures, To paint badges on that scale is not easy. I didnt know first to figth had the 75 nfantry gun. I have the one from pegasus and the crew is good, but think the one from Zvezda could be good too. The first to figth kit have the two wheels possibilities? (metal and rubber). Carlos: FtF set has only spoked wheels, as the bulk of German artilery was horse towed that time. But I remember, they announced on facebook, that they will made also rubber wheles for German and Polish infantry guns as independet sets. They work also on the staff for guns, as the recent figures are not very good. 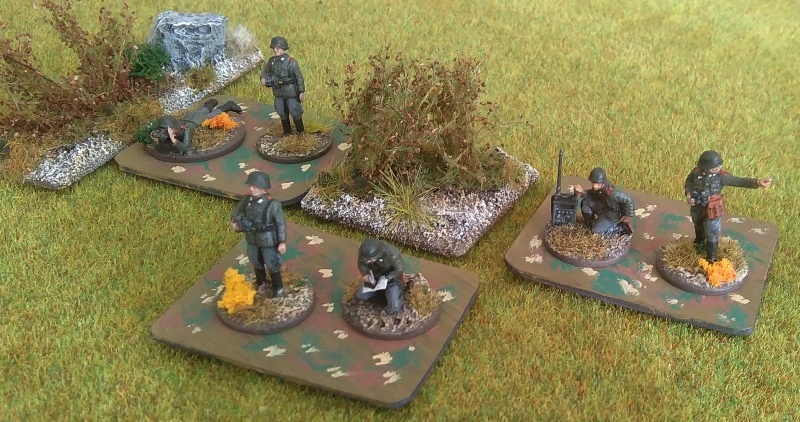 I have just finished a few artilery observers and officers for German army during Polish campain. As the First to Fight set has only 6 oficers in only two poses, I needed much more figures for command and artilery observers stands. Theese are Zvezda and Esci figures from various sets. I also plan to give them some transport - this is my task for a near future. 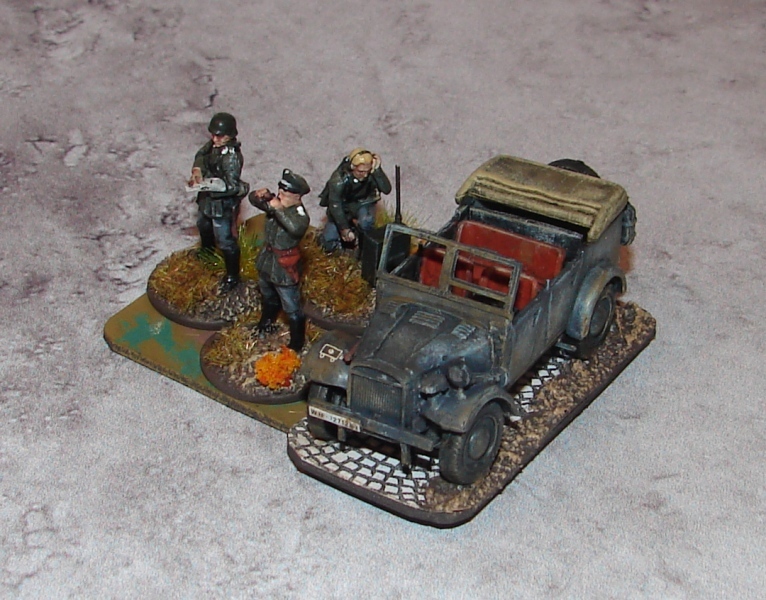 Another rather poor quality photo - officers for HQ stands for September1939 game rules. This time some Esci, Zvezda and Revell figures. I am just working on transport for them. 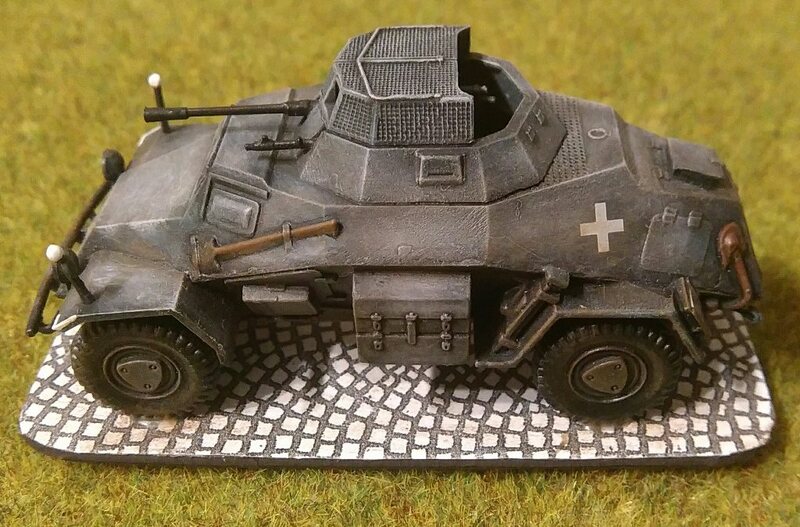 A new armored car for my german army. I will try to send a foto once again in the ewening, now only link. 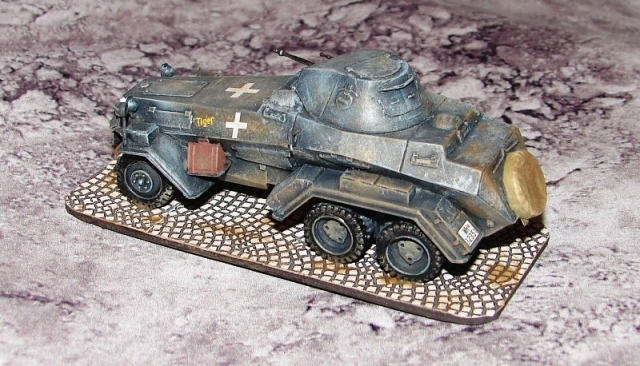 sowabud wrote: A new armored car for my german army. I can't edit my earlier post, so this is a picture of my new big "cockroach". 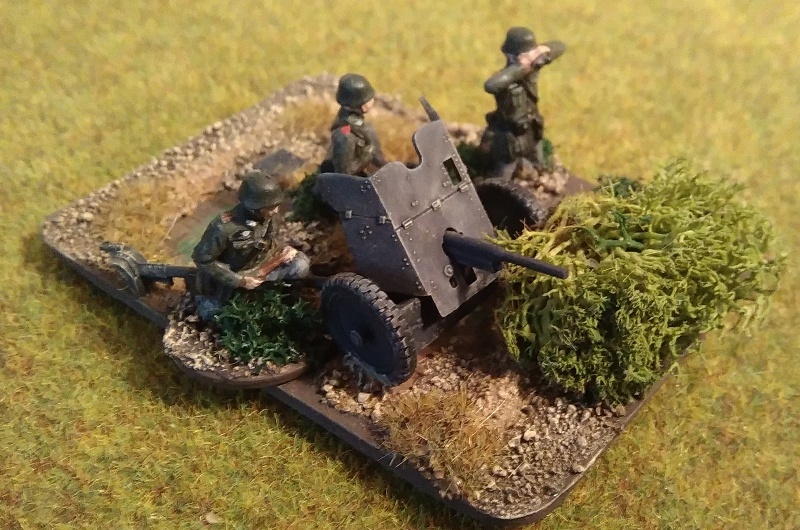 Two platoons of light german tanks - First to Fight models.